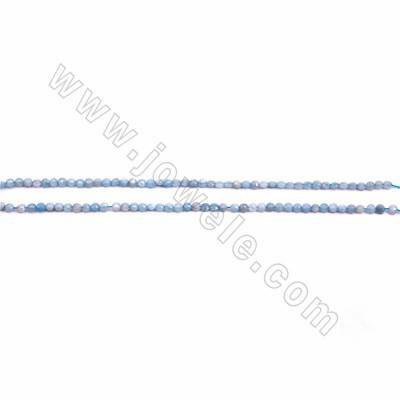 Colors of the ocean come alive in Aquamarine beads. 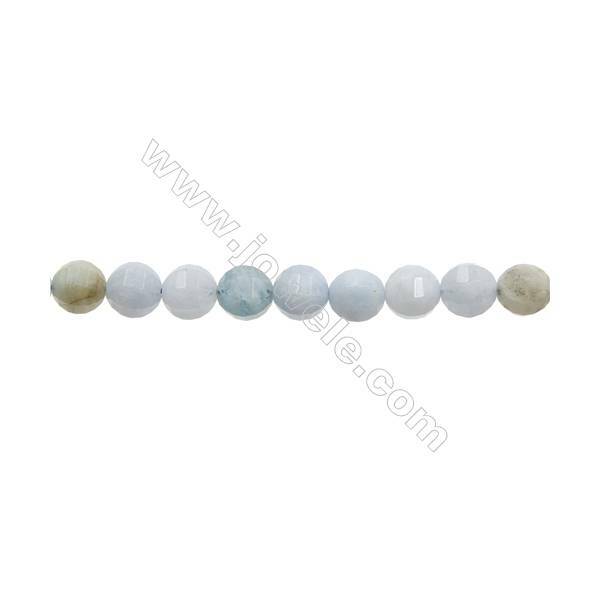 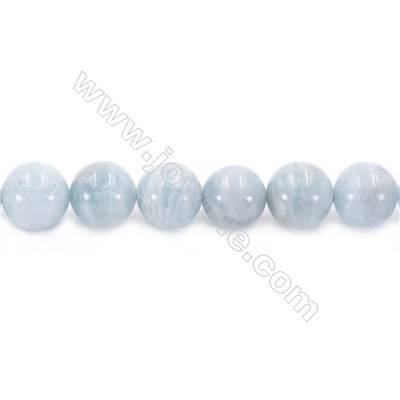 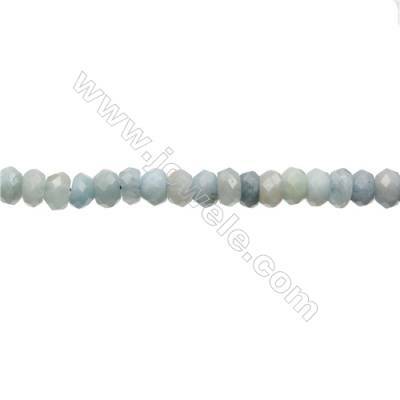 These gemstones display beautiful hues of stormy blue, ocean green and hints of white. 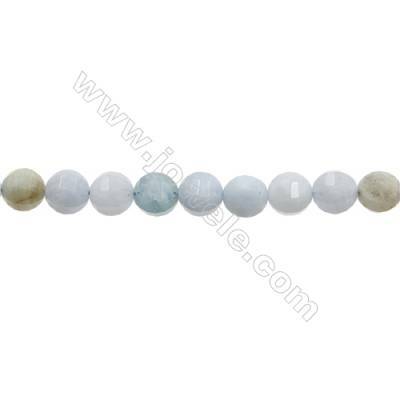 You'll love adding to designs as a refreshing touch of color. 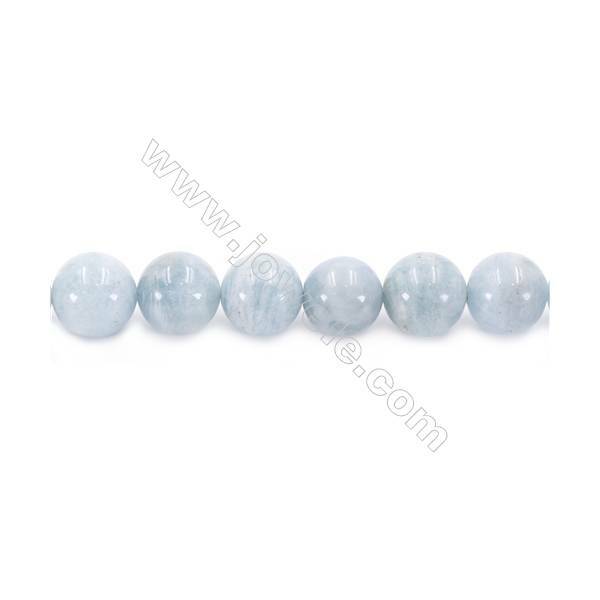 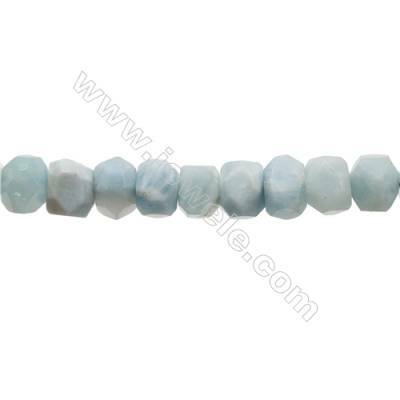 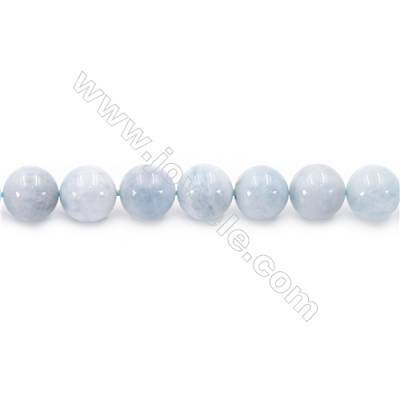 Aquamarine is the birthstone for the month of March. 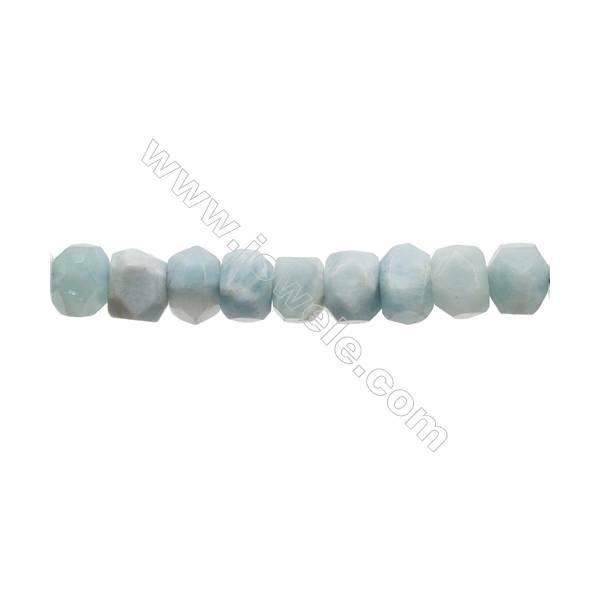 People were believed that aquamarine could calm waves and keep sailors safe at the ocean. 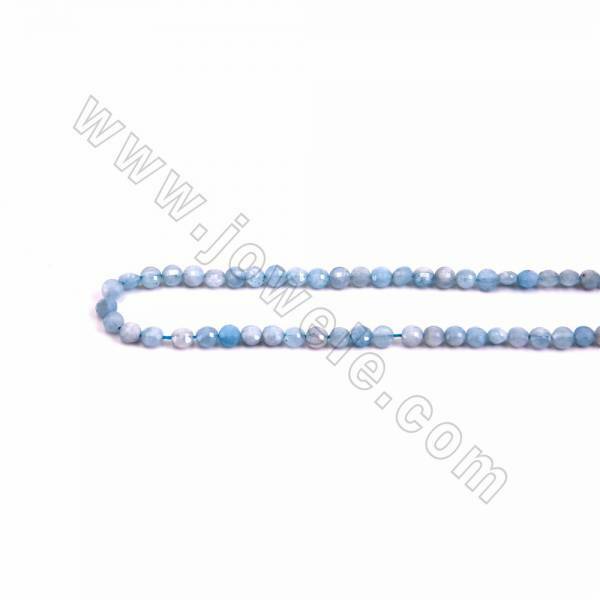 Metaphysically, it is said to aid clear communication. 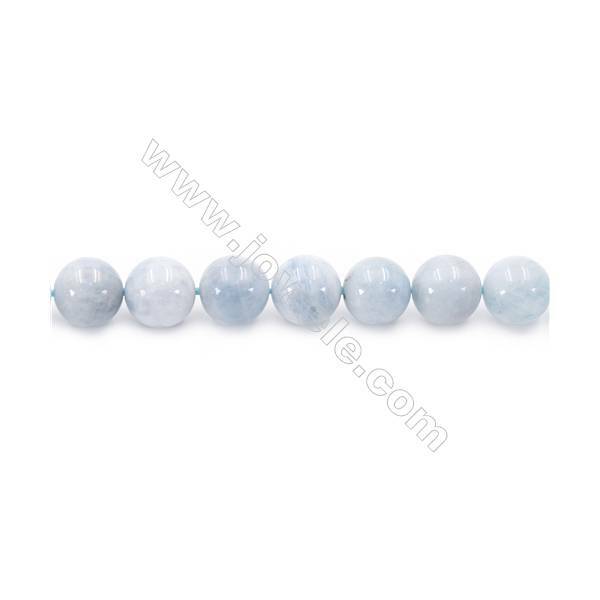 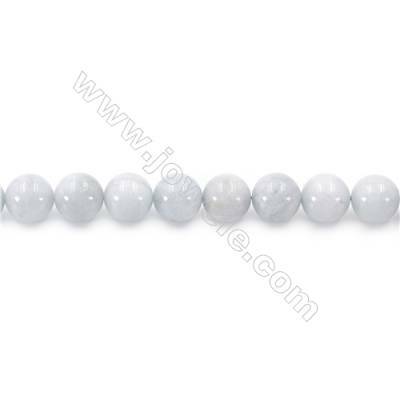 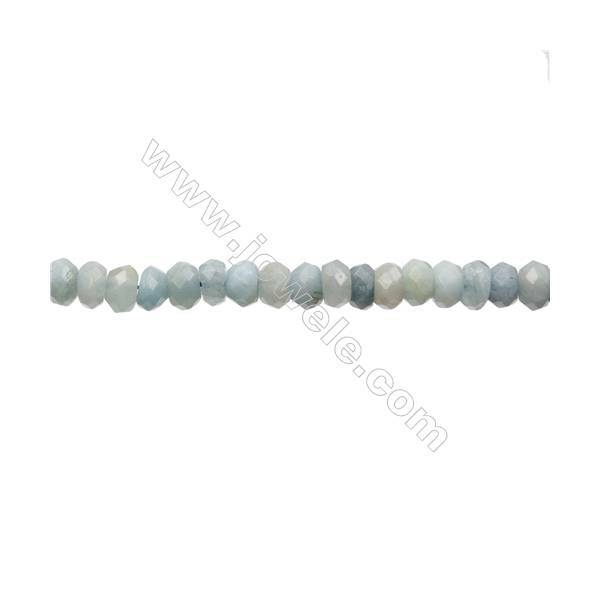 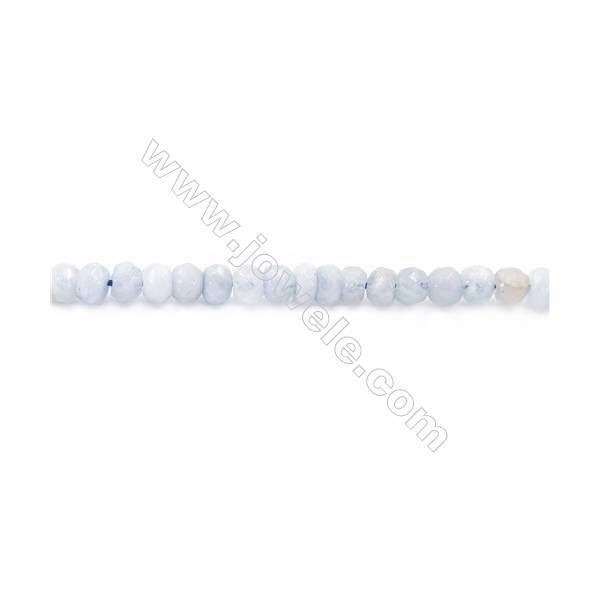 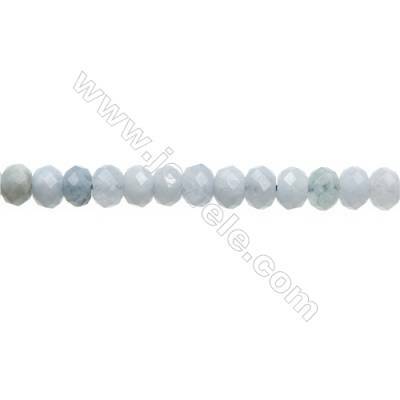 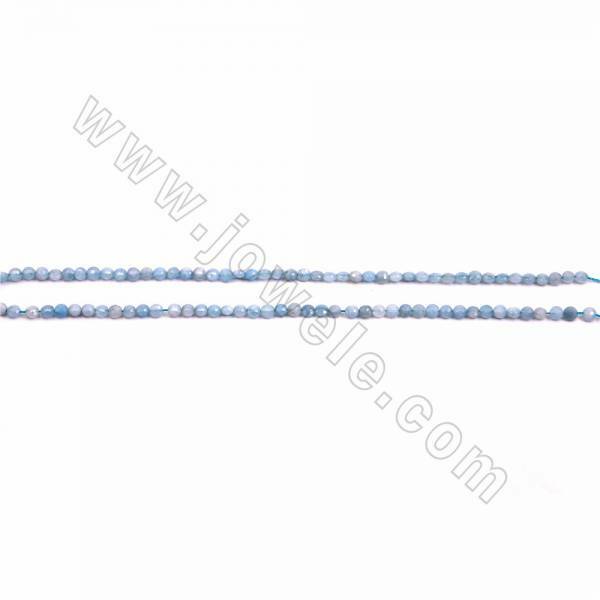 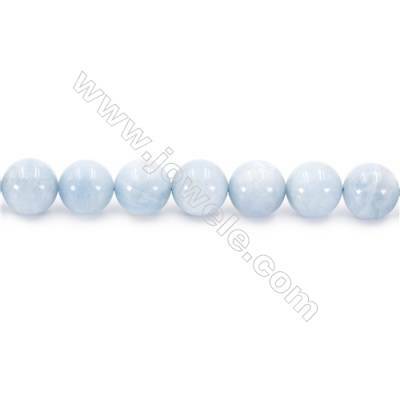 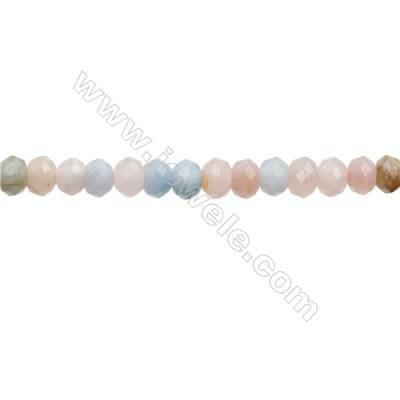 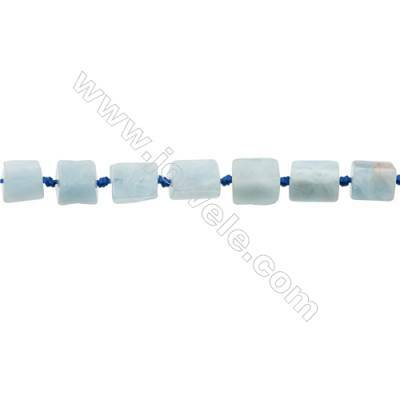 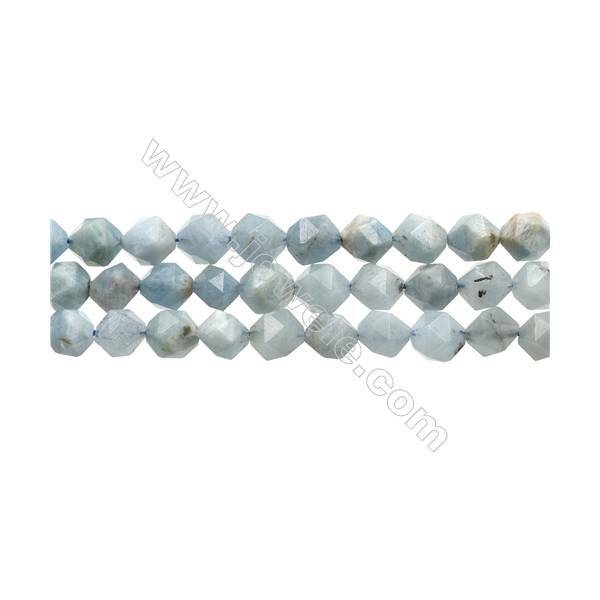 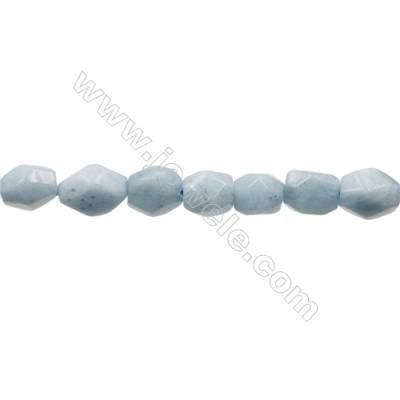 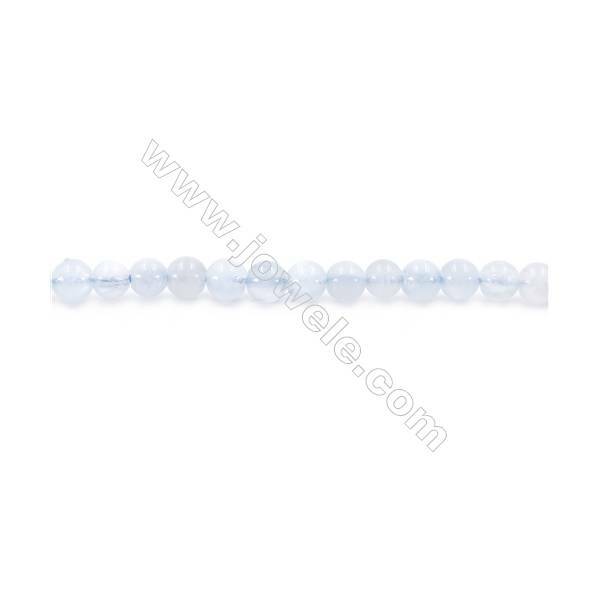 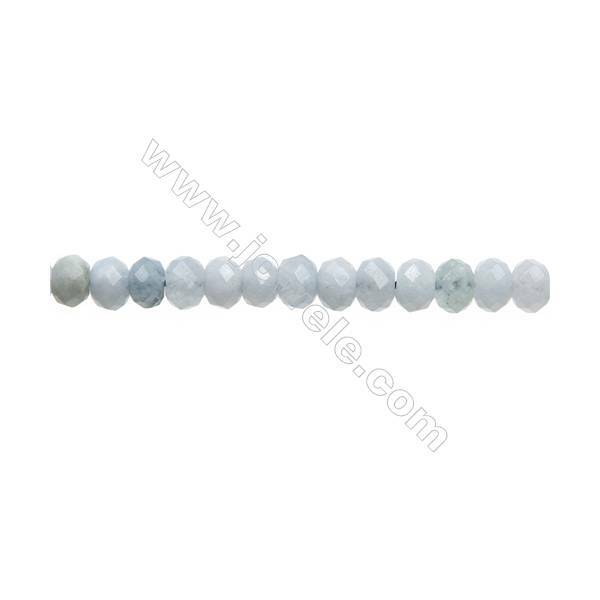 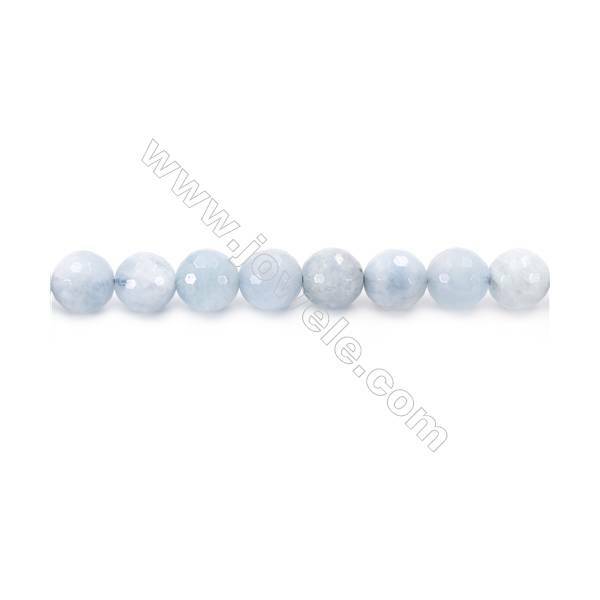 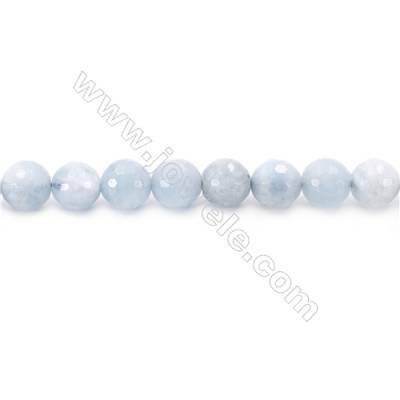 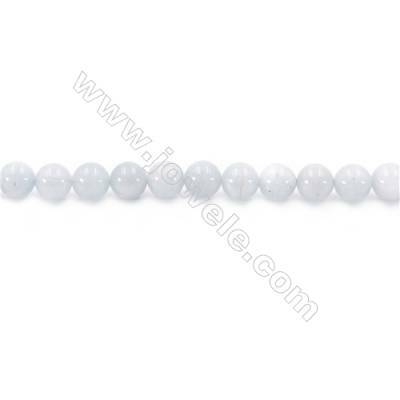 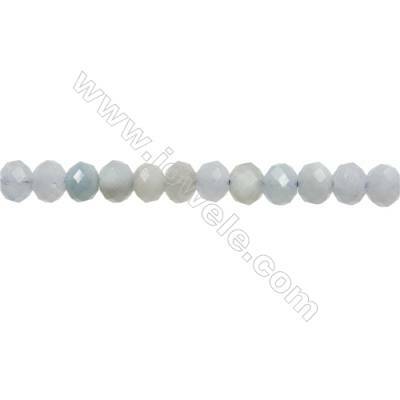 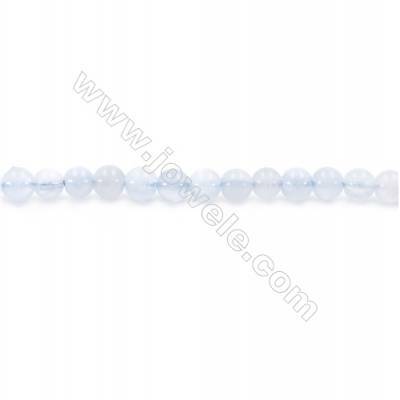 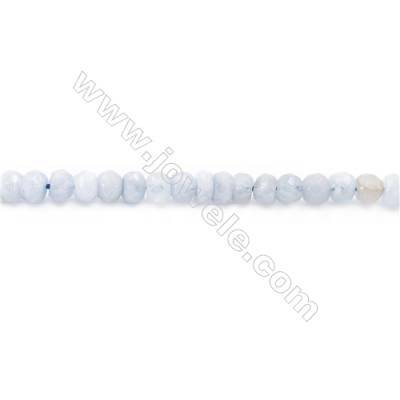 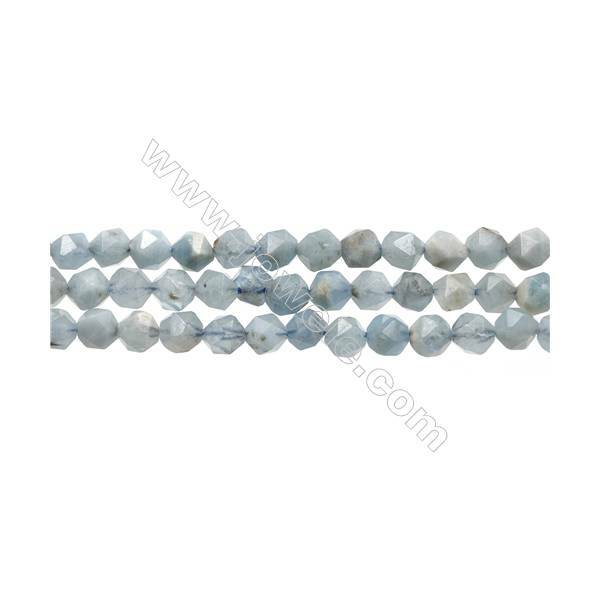 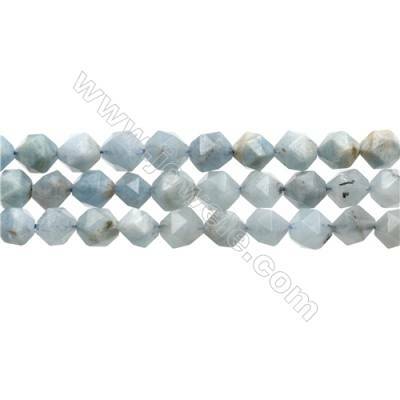 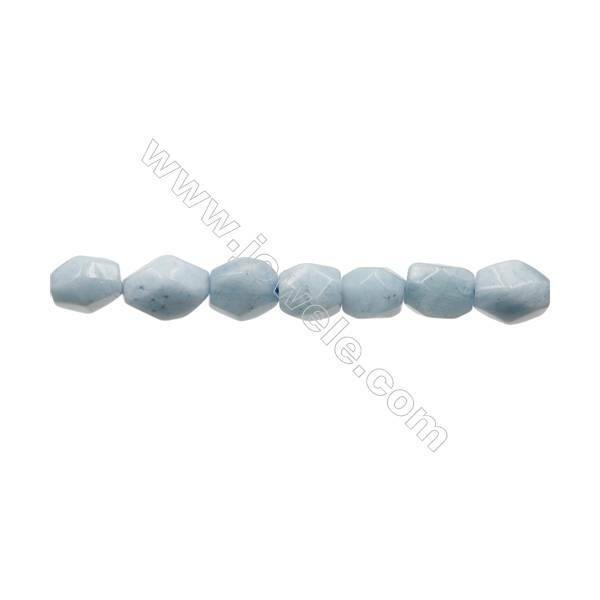 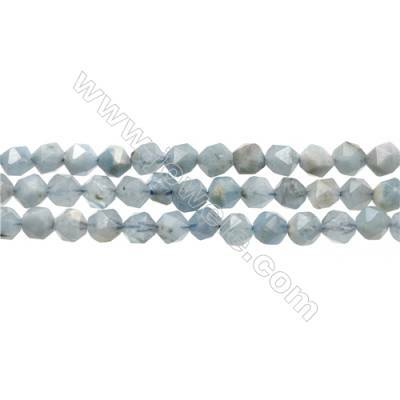 Natural Aquamarine Beads Strand, Round, Diameter 4mm, Hole 0.8mm, about 102 beads/strand 15~16"
Natural Aquamarine Beads Strand, Round, Diameter 6mm, Hole 1mm, about 64 beads/strand 15~16"
Natural Aquamarine Beads Strand, Round, Diameter 8mm, Hole 1mm, about 42 beads/strand 15~16"
Natural Aquamarine Beads Strand, Round, Diameter 10mm, Hole 1mm, about 39 beads/strand 15~16"
Natural Aquamarine Beads Strand, Round, Diameter 12mm, Hole 1.5mm, about 33 beads/strand 15~16"
Natural Aquamarine Beads Strand, Round, Diameter 14mm, Hole 1.5mm, about 31 beads/strand 15~16"
Natural Aquamarine Beads Strand, Faceted Round, Diameter 4mm, Hole 0.8mm, about 100 beads/strand 15~16"
Natural Aquamarine Beads Strand, Faceted Round, Diameter 8mm, Hole 1mm, about 48 beads/strand 15~16"
Natural Aquamarine Beads Strand, Faceted Abacus, Size 2x3mm, Hole 0.6mm, about 136 beads/strand 15~16"
Natural Aquamarine Beads Strand, Faceted Abacus, Size 3x4mm, Hole 0.8mm, about 148 beads/strand 15~16"
Natural Aquamarine Beads Strand, Faceted Abacus, Size 4x6mm, Hole 1mm, about 93 beads/strand 15~16"
3mm Natural Aquamarine Beads Strand, Round, Hole 0.7mm, about 133 beads/strand, 15~16"
Natural Aquamarine Beads Strand, Cylinder(Faceted), Size 12x13mm, Hole 0.8mm, 31pcs/strand 15~16"
Natural Aquamarine Beads Strand, Cylinder(Faceted), Size 12x15mm, Hole 1.0mm, 33pcs/strand 15~16"
Natural Aquamarine Beads Strand, Abacus, Size 5x7mm, Hole 0.8mm, 86pcs/strand 15~16"
Mixed Aquamarine Beads Strand, Abacus (Faceted), Size 6x8mm, Hole 0.8mm, 68pcs/strand 15~16"
Natural Aquamarine Beads Strand, Irregular Rectangle, Size 10x13mm, Hole 0.8mm, 29pcs/strand 15~16"